Northgate at Bailey Station | Provident Homes Corp.
Provident Homes Corp is proud to announce The Reserve at Bailey Station is completed! 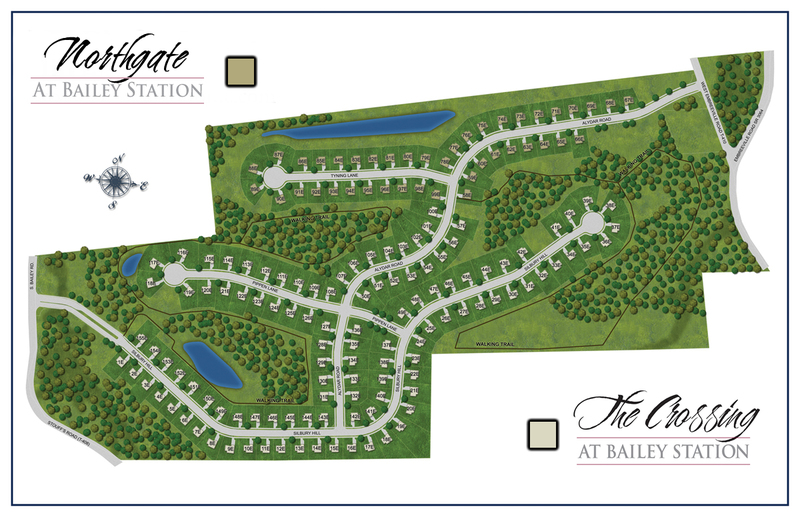 One of four communities making up our Bailey Station conservation community in Downingtown, PA. Northgate at Bailey Station offers 42 lots in total and is connected to our community, The Crossing at Bailey Station. Just seconds from Business 30; you’ll have easy access to Routes 30 Bypass, 322, 100 and 202. Northgate at Bailey Station is also located within walking distance to the Thorndale Train Station. You couldn’t ask for a better location, quietly tucked away in the rolling hills of Chester County yet so close to shopping, recreation, transportation and everything else! Northgate at Bailey Station is a beautiful sidewalk community offering amazing lots, gorgeous views, and private walking trails. Provident Homes Corp is extremely proud of our passionate commitment to build 100% of our homes in accordance with the stringent energy efficiency guidelines set by RESNET. Come walk the lots and choose the perfect location for your dream home! We encourage you to visit our Alden Grand model home located in The Crossing at Bailey Station on Silbury Hill. We look forward to working with you hand and hand as you personalize your new home to you and your family’s needs.